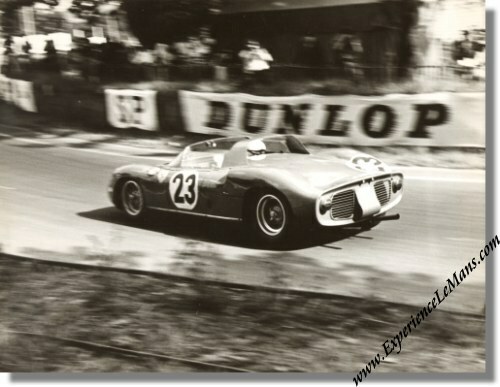 Vintage 1963 photo of Ferrari 250P S/N 0812 at the 24 Heures du Mans. This is a vintage 1963 photo of the factory entered Ferrari 250P of John Surtees and Willy Mairesse before it caught fire at the 1963 running of the Le Mans 24 Hours. The car in question is S/N 0812 and was repaired after this incident and survives to this day. The photo is in excellent condition and carries the photographer's stamp on the back. It measures some 24 x 18 cm or 9.5 x 7.1 inches. The race was won by Lorenzo Bandini & Ludovico Scarfiotti in their # 21 Ferrari 250 P (S/N 0814) with a total of 339 laps to their name. For the full results of this race, please see 24 Heures du Mans results 1963. We offer FREE shipping to ANY destination in the world on this item but given its value, we advise you to take the optional insurance (available at check-out) on it. You can read more on our shipping options HERE. FREE shipping to ANY destination in the world ! !